My resolution for 2015 is to update this blog once a month. So here is update #1. The baby had a few almost-birthdays (mid-December, Christmas Eve), but in the end she didn’t come that early. Either way, because of the uncertainty, Andrew and I both left work early and then had unexpected child-free time on our hands. I was third trimester sleepy for large stretches of this pre-baby time and my stomach somehow managed to get bigger and bigger. I happily took advantage of the extra days to revise the manuscript of my novel, Escape Plans, before sending it to my editor. I hadn’t looked at the book for a long time – I needed some distance – but cozied up to it again quickly. The novel is going to be published by Invisible Publishing in the fall and I’m so excited about it. I’ll write more about it over the next few months. 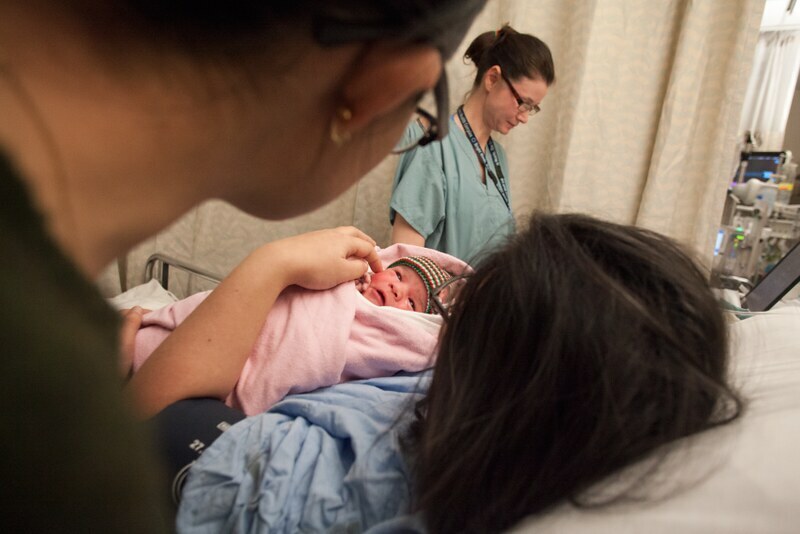 Andrew and I rung in the New Year from a delivery room at Mount Sinai Hospital. When we arrived that evening, we naively thought there was a chance that our baby might be the first of 2015. You’ll get a gift basket, the woman admitting us to triage told us. But when my OB came by to check my progression, we realized that we were going to be stuck in the delivery room for a long time, way past midnight anyway. Andrew got us paper cups of ice water and we listened to the nurses and doctors gather down the hall and count down to January 1, 2015. At midnight we clinked our paper cups and then dimmed the lights in the room and tried to sleep, which is difficult when you’re waiting for the birth of your first child and, in my case, also hooked up to an IV and a monitor. The labour started off slowly. I was induced, so I was acutely aware of each step of the process and excited whenever there was a minor change in my body. I’d always been curious about contractions, what they really felt like. When they kicked into high gear I got the confirmation that, yup, they hurt, like someone slowly, cruelly, tightening a vice around my lower abdomen. Because I was still hooked up to the monitors, dealing with contractions flat on my back wasn’t the most pleasant experience. 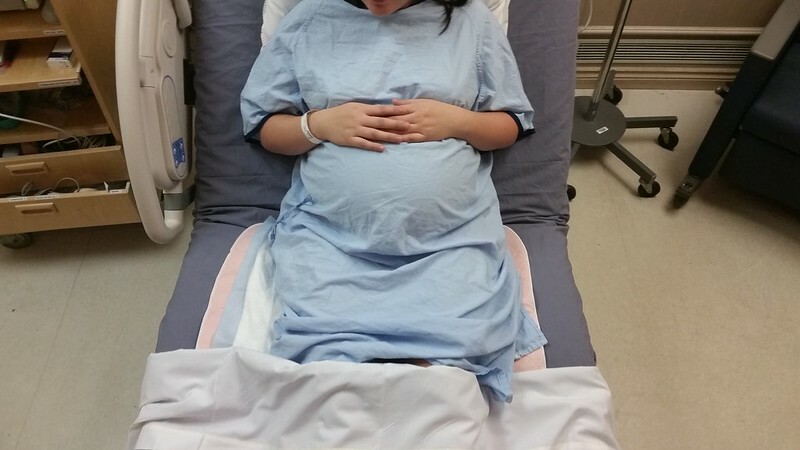 After the anesthesiologist gave me an epidural, I was giddy with relief. The absence of pain gave me a burst of energy and I was able to talk on the phone, to joke and laugh again. Andrew left to get coffee and came back with a copy of the New Yorker for me to pass the time. As much as the epidural made me feel wonderful, when you’re recovering from increasing contractions, have been on an IV for over 12 hours and have just been told that you still have another 8-16 hours of labour ahead of you, reading the New Yorker isn’t at the top of your priority list. But it was a cute gesture. After the epidural things continued to chug along slowly. 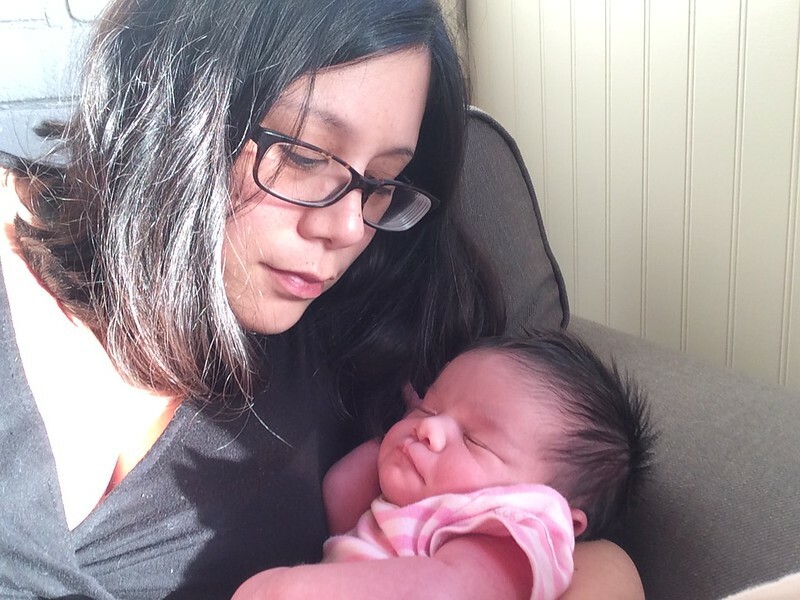 We called everyone and told them to stay at home — the baby wouldn’t come until the next day. But then during a routine check by a resident, the baby had a heart deceleration that didn’t stabilize quickly enough, and our previously calm, dim room was suddenly swarmed with doctors and nurses and the lights were jacked up and someone was putting an oxygen mask on my face. In that instant, everything was terrifying. The heartbeat stabilized, but then it happened again and the OB decided I was next in line for a c-section. Andrew had to recant the last phone call and say, uh, come here now because Teri’s giving birth in the next hour. 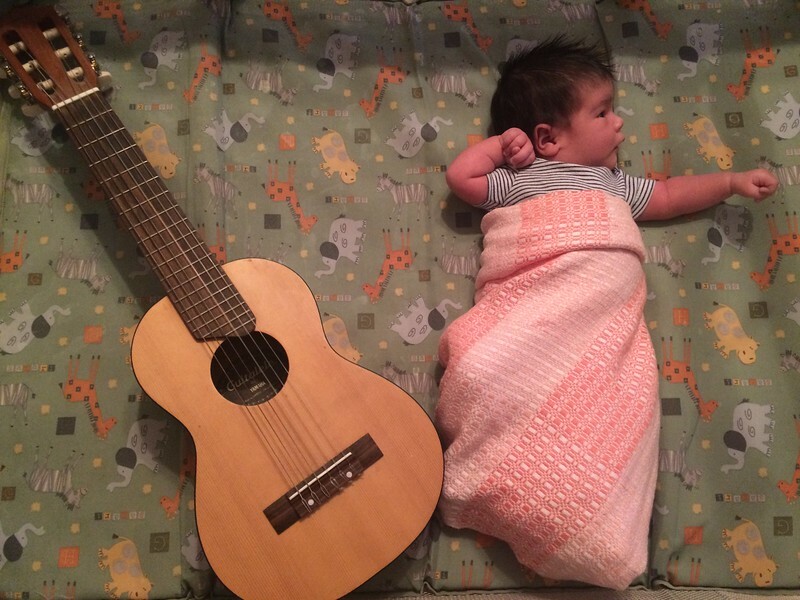 So our baby, Clara Angelita, was born on January 1, 2015, and I don’t know if we will ever have such perfect start to a new year. January has been foggy. Adrenaline, sleep deprivation, adjusting hormones, that weird intense bloom of love, etc. Time has gone by slowly and quickly. I haven’t slept for more than 3 hour stretches since Clara was born, but our family and friends have done everything they can to ease the transition. Some days are hard, but some days are easy too. I’d expected the hard days, which doesn’t make them any less hard, but I hadn’t really expected or allowed myself to hope for the easy ones. Maybe “easy” isn’t the right word. Peaceful? Content? The cat is adjusting too. I love studying Clara’s face. It changes all the time and l have no idea what she’s going to look like when she’s bigger. Her face after she’s fed, all milky and peaceful, is the sweetest. Usually when she’s done her eyes will droop and as she’s dozing off she’ll give a little smile, which I know isn’t supposed to count as a real smile yet, but it still looks real. When she sleeps, she makes noises and grunts and my favourite sound is a little whoop, like a wolf pup, a baby animal. When she cries her face scrunches up hard like an apple doll – it’s the most intense, angry face. I’m still surprised at the volume of her cries since I’d naively assumed that something so tiny would only make tiny noises. 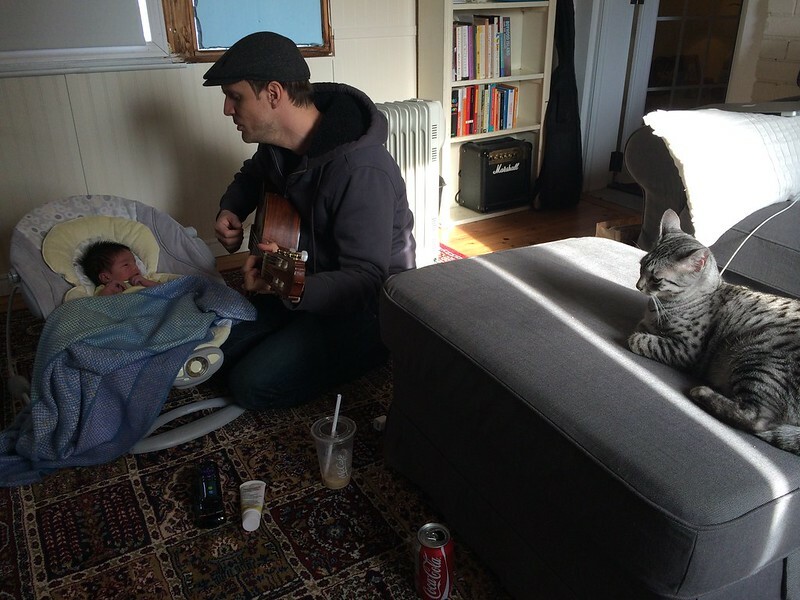 I can’t imagine her not tiny – she is smaller than a ukelele, than the cat. I can’t imagine her not here. We knew nothing about babies before having her, had never held a newborn or even changed a diaper. But we’re all learning here. Slowly, maybe not always gracefully, but eagerly. Happily. Over at the The Toast, How to Turn a Breech Baby. 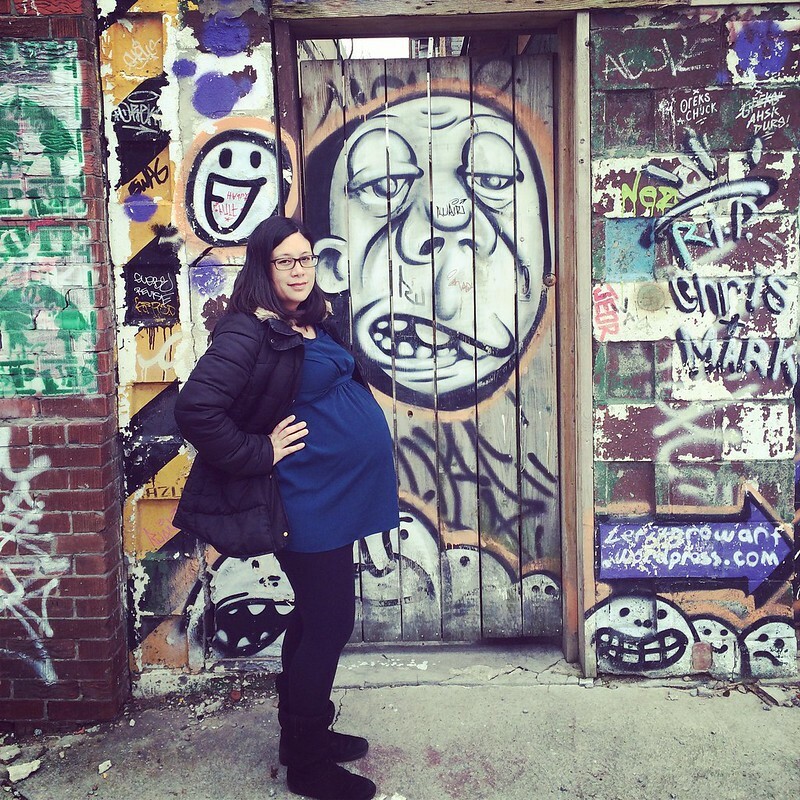 I wrote this back in the fall when Clara was briefly in the transverse and then breech position in my belly and I researched the ridiculous things you can do to encourage a baby to flip. She flipped on her own, but I ended up having a c-section, so it didn’t really matter. Babies. Such a beautiful entry! I love Clara!